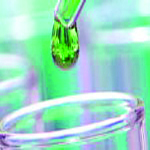 The vast majority of the scientific studies on fragrance materials are generated by major fragrance manufacturers or the fragrance trade association’s own laboratories. Largely, these studies have never been published or peer-reviewed, and are not publicly available. There is no evidence that the RIFM panel has reviewed the safety of several of the most controversial fragrance ingredients, such as hormone-disrupting phthalates and musks or carcinogens, including styrene and pyridine in the last 30-40 years. This current safety policy creates an inherent conflict of interest. RIFM, the body responsible for determining the safety of fragrances, is governed by a Board of Directors made up of the world’s largest fragrance sellers. 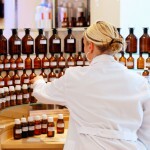 They have a vested financial interest in making sure that fragrances are deemed safe. 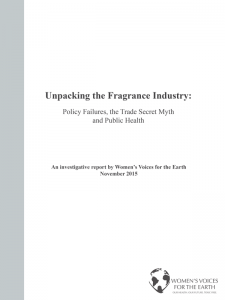 The report also debunks the industry myth that fragrance ingredients should enjoy trade secret protections. It spotlights how labeling products with the blanket-term ‘fragrance’ is a holdover from the industry’s long held tradition of keeping trade secrets for fragrance formulas. This has resulted in policy-makers exempting fragrance from ingredient listing requirements in existing or proposed regulations. This lack of disclosure creates a state of ignorance on the part of consumers, scientists, health care providers and their patients regarding what chemicals one is actually exposed to from fragranced products. There are more than 3,000 chemicals on IFRA’s Transparency List of chemicals used in the industry. Fragrance safety standards are created by the industry’s International Fragrance Association (IFRA) – there are currently 186 banned or restricted substances on the IFRA safety standards list. However, as the report discloses, in addition to failing to set safety criteria for such chemicals as phthalates, musks and various carcinogens, these safety standards are voluntary. 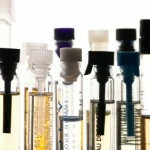 Little to no compliance verification is required from fragrance manufacturers to follow IFRA Standards. The strength of the industry’s safety program is also called into question when you consider that over 100 of the chemicals on IFRA’s Transparency List can be found on authoritative lists of toxic chemicals around the world including California Prop 65, International Agency for Research on Cancer and the EU Substances of Very High Concern. 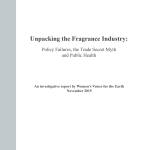 * 2017 UPDATE: In early 2017, just over a year after the initial publication of this report, RIFM published a new website at: http://fragrancesafetypanel.org/. For the first time in its history, the RIFM Expert panel began publishing agendas and minutes of its meetings. Also posted on this website is a Transparency Policy, dated September 2016, which affirms the Expert Panel’s commitment to greater transparency going forward. The policy includes a commitment to solicit written submissions and data from the public on the fragrance materials they plan to review. A new bill — The Safe Cosmetics and Personal Care Products Act of 2018 — introduced by Rep. Jan Schakowsky (D-IL) is the only federal cosmetic safety bill that calls for full fragrance ingredient disclosure to consumers and salon workers. The bill also requires supply chain transparency, industry data sharing to address the lack of safety data available for fragrance ingredients, and stricter oversight of the entirely self-regulated fragrance industry. To take action, click here.